Home / Chapters / Vocal Health Series: Vocal Health PerceptionsBecome A Member! This regular series will examine facets of vocal health by which we hope to dispel myths and inaccuracies. Most importantly, our goal is to provide support for those who have experienced vocal concerns and provide constructive solutions for singers. 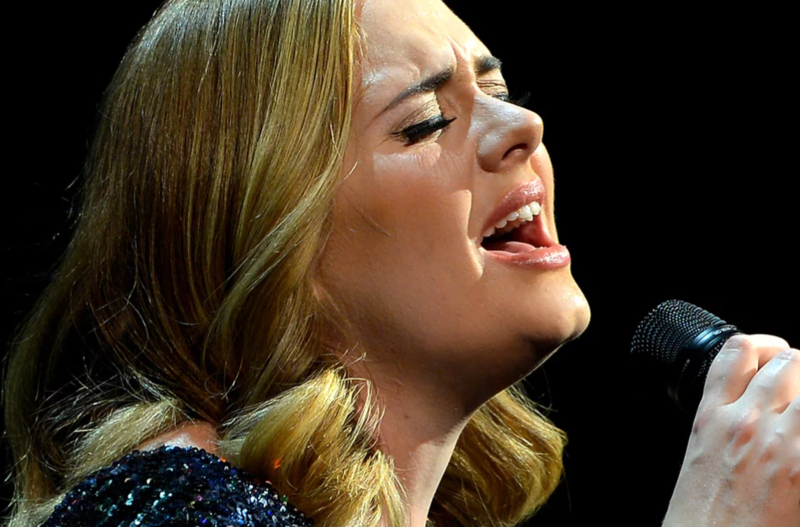 Vocal health has been a hot topic recently, thanks to high-visibility performers such as Adele, Sam Smith and Michael Buble and others being forced to cancel shows due to damage to their voices. Some observers exercise kindness and a measure of understanding when discussing someone else’s voice and health. Others, perhaps even those with good intentions, are less than kind. Understand that voices come in all shapes and sizes. Many factors influence phonation (speaking and singing): genetics, upbringing, regional diction, general health, and voice use and type. Phonation is also affected by hormone levels, external and internal stress, and allergens in the environment. Any number of reasons exist for an interruption in someone’s vocal health. Have a care when discussing someone’s singing! Each human voice is unique and, whether consciously perceived, is linked to an individual’s identity. Sometimes our comments about another’s voice can be taken as a value judgment of the person themselves. These types of remarks can do lasting damage. How many people in choir have been admonished to “just stand in back and mouth the words” or asked, “shouldn’t you let (insert singer here) sing this song instead?” How many singers were encouraged not to sing by someone who thought they were being funny (or just cruel)? How many of you have wished you would have found barbershop at an earlier age, but were perhaps afraid or shy about your voice? The article cited above does a good job at bringing to light something that was considered taboo: talking about vocal injury. It explains what happens and why singers sometimes are at risk. Think about the hundreds of thousands of micro-collisions that the vocal folds experience during a concert, and the cumulative effect on the vocal mechanisms and structures. What the article doesn’t really do is talk about preventative maintenance nor what to do to recover from a vocal injury. Subsequent articles in the Vocal Health Series will address a variety of topics, including preventative measures and recovery processes and topics related to the lifespan of the singer, including the aging voice and the developing or changing voice. Barbershop singing doesn’t normally use instruments, so attention to vocal health needs to be correspondingly higher. The BHS recently announced its efforts to contribute to the vocal success of its members by offering voice lessons and coaching. If you would like to have a vocal assessment, contact harmonyu@barbershop.org.